This is such a simple recipe, and totally “comfort food,” but without the guilt. 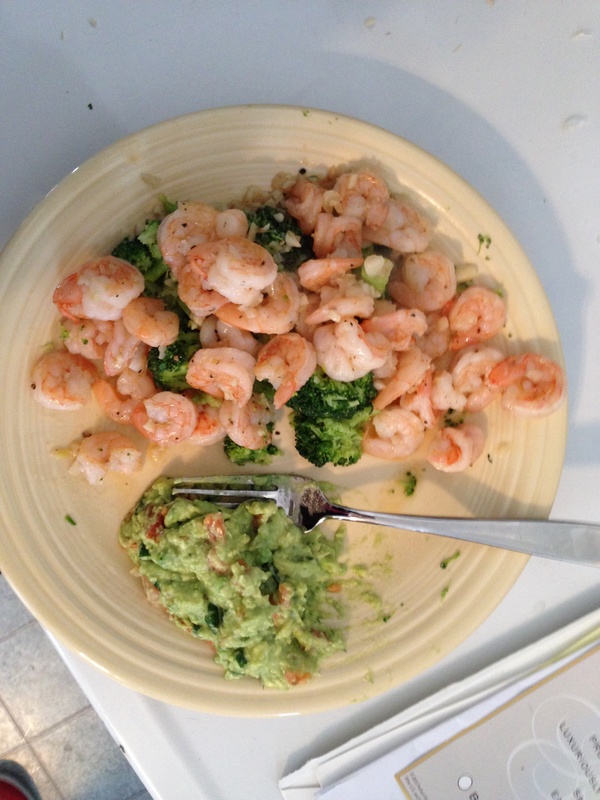 I put my shrimp over broccoli (with a side of guacamole made by my handsome hubby!) but you can really put this over anything – I think spaghetti squash noodles or zucchini noodles would be excellent. But I loved the broccoli. Melt the ghee in a large saucepan on medium heat. Add the garlic and let simmer a few minutes. Turn the heat to high and add your shrimp. Let them cook until they are pink, and you are done! Serve it over your favorite veggies.